The Charter: Shield or Sword? In Canada, there are at least three things that you don’t mess with: hockey, maple syrup, and the Charter of Rights and Freedoms. While hockey has referees and maple syrup has a premium price tag, what is there to protect our glorious Charter? 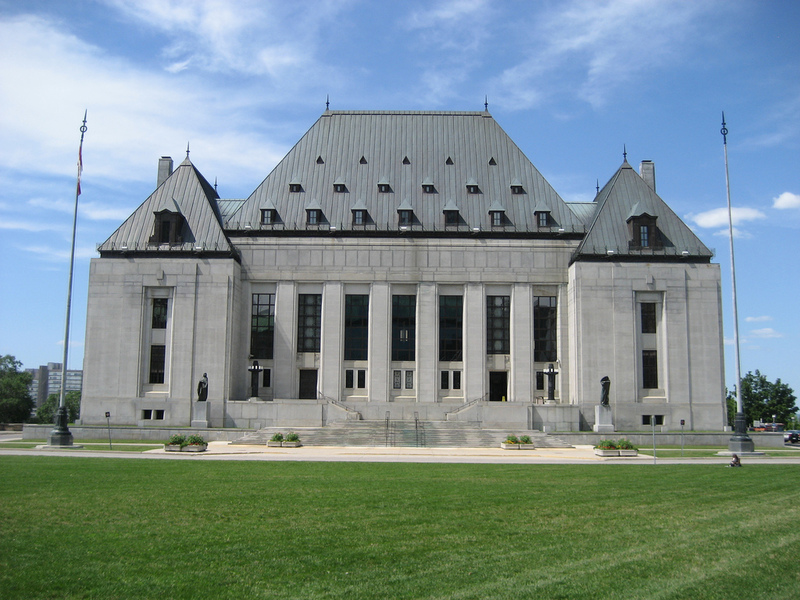 The legally inclined would answer: the Supreme Court of Canada. While the job of this court indeed includes upholding constitutional rights, sometimes certain Charter rights, like many other rules, were made to be broken. Section 1 of the Charter “guarantees the rights and freedoms set out in it subject only to such reasonable limits prescribed by law as can be demonstrably justified in a free and democratic society,” meaning that under certain circumstances, Charter rights can be infringed if they’re deemed to be counterproductive in a specific instance. One famous recent example of this is the case of Trinity Western University vs. The Law Society of British Columbia, in which Trinity Western University (TWU) wished to open an accredited law school in which there was a mandatory signed covenant that prohibited sexual intimacy outside of heterosexual marriage. The Law Society of British Columbia (LSBC) decided to disallow the accreditation of TWU’s law school, with the covenant being the centerpiece for the decision. The final Supreme Court Decision held that the LSBC had the right to deny TWU’s accreditation. TWU argued that denying accreditation based on their religiously-influenced covenant was both not within LSBC’s statutory mandate and a violation of their Charter right to freedom of religion, as set out under Section 2. While the statutory mandate, including other factors, played a large role in the case, what is especially interesting is the argument surrounding infringement of the Charter right to freedom of religion. This case provides insight into the dynamics of Charter rights and the occasional restrictions thereof. TWU’s covenant specifically states that “according to the Bible, sexual intimacy is reserved for marriage between one man and one woman, and within that marriage bond it is God’s intention that it be enjoyed as a means for marital intimacy and procreation.” The fact that the Christian university’s covenant directly references the Bible and that TWU believes the covenant to be a part of their faith is what would give them grounds for taking the case to court. According to TWU, the LSBC’s decision was an infringement on their Section 2 right to freedom of religion. Whenever there is an infringement of Charter rights by way of an administrative body, the courts must use a decision-making tool known as the Doré/Loyola Framework to examine the infringement. In order to invoke the framework, a 2-step analysis places the initial burden on the claimant to demonstrate that the decision infringes their charter right. The second step places the justificatory burden on the state actor. In this case, TWU must first prove that their Section 2 right was infringed, and then, if this is successfully done, the LSBC must prove that there is a proportionate balancing of the Charter right to freedom of religion and the LSBC’s duty to protect individual rights and freedoms under the Legal Professions Act, the LSBC’s enabling statute. Essentially, the LSBC is allowed to infringe upon TWU’s Charter right (assuming it was even infringed in the first place), so long as they can prove it to be a reasonable measure in their overarching objective to protect the public interest. In addition to the Doré/Loyola framework, a second decision-making tool was suggested for use in the case. This tool is known as the Oakes test. The Oakes test has a long history of precedent, making it a go-to tool for when Charter rights are infringed. In this case, however, the Oakes test was not focused on as heavily as the Doré/Loyola framework due to the fact that Oakes is really meant for legislative infringements, not administrative ones. The limited use of the Oakes test likely concerned some. The Oakes test can be described as valuing proportionality while the Doré/Loyola framework values reasonableness. Proportionality is whether an infringement is proportionally justifiable relative to the limiting measure on the infringed and the objective: a cost-benefit analysis. Reasonableness is whether an infringement is reasonable given a statutory objective. In the case of the LSBC violating TWU’s Charter right to freedom, proving reasonableness is easier than proving proportionality. Using the Doré/Loyola framework rather than the Oakes test is more advantageous to the LSBC as it makes it easier to justify infringing Charter rights. Ultimately, the framework says that as long as the decision is within a range of reasonable options, then deference is owed to the administrative body. If the Charter did not include the Section 1 specification that rights can be limited, the outcome of the case would have been dramatically different. If the Charter right to freedom of religion were upheld regardless of the discriminatory outcome towards the LGBTQ+ community, it could, potentially, have opened the floodgates to a wave of discrimination hiding under the guise of religious freedom. This is known as the slippery slope argument, where creating a precedent of a certain kind allows future cases to refer back to it and use it as justification. It is a tool for judicial activism, where courts use their influence to make progressive changes for society, but it can also cause massive setbacks on progress. While this case certainly had its share of the spotlight due to its controversial nature, the point remains that Charter rights are only as strong as the courts deem them to be. With a multitude of tools able to violate the Charter, it may initially appear that rights are under threat in Canada. However, TWU’s case is a perfect example as to why the breakable nature of the Charter is a good thing. If TWU’s law school was accredited, it would have disadvantaged LGBTQ+ students by creating a restriction on their sexuality with no workaround, unlike the workaround of marriage which would exist for heterosexual students. While the Charter provides invaluable rights for all Canadians, sometimes rules are made to be broken. Pushed to the Brink: Ukraine at the End of Its Rope?